Looking to send the perfect gift to someone special with a sweet tooth? 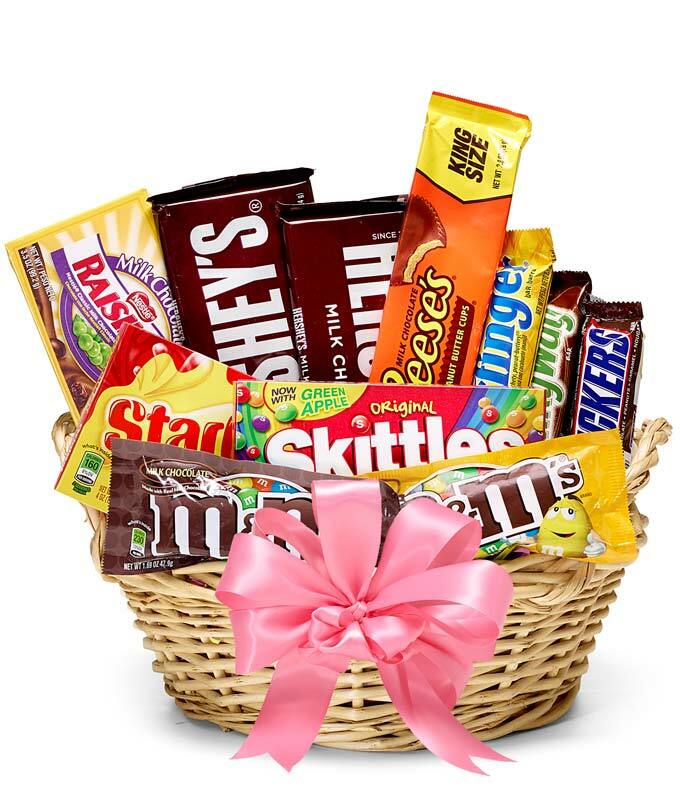 Look no further than the Sweetest Candy Gift Basket! Hand arranged and hand delivered by a local florist, this classy candy basket is packed generously with some of America's most famous and favorite sweet treats. This gift is perfect for all ages and for almost any occasion! Send today. Please note: contents may vary.